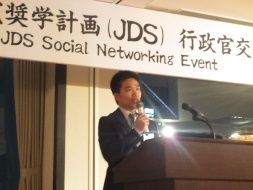 JICE held a JDS Social Networking Event for Japanese Grand Aid for Human Resource Development Scholarship Fellows and Japanese government officials on April 23rd, 2015. 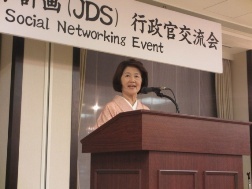 A total of 142 participants (69 JDS Fellows and 73 Japanese government officials) joined in this event to create opportunities of interaction and long-lasting relationship between young administrative officials of JDS Project and Japanese government officials. 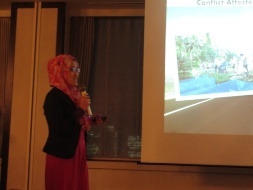 On the event, two JDS Fellows had presentations to share their experiences in Japan and participants had discussed policy issues and deepened mutual deepened mutual understanding. 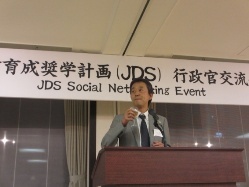 JICE would like to continue to support the international students for their fruitful lives in Japan.